Scientific Discipline/Field: Electrical engineer with lots of computer science, software engieering, systems engineering, etc. After boarding school for secondary school, I started at MIT thinking I was going to be the best secondary-school physics teacher ever. Things didn’t work out in that first pass. There were many factors to not succeeding that first time—father died when I was in my last year of secondary school; came from a small town in a rural part of Tennessee and even after boarding school wasn’t ready for Boston/Cambridge; first generation university student—but being a closet case was probably a big part of it. Dropped out, tucked tail and moved back to my mom’s to try to be a performing musician. Worked both as a musician (keyboards) and in the usual number of day jobs (typeset for small publication; controller for my family’s sewing business which my brother and I had ended up with until we sold it; radioactive pharmaceutical delivery boy and technician) until I got it together to go back to MIT and study electrical engineering. I wanted to build my own synthesizer, something I accomplished in my digital circuit design class. After the baccalaureate degree, stayed at MIT for master’s and doctorate, both in the area of auditory modeling. If there’s been a consistent research interest, even if there’s not a lot to show for it, it’s been sound, hearing, and how should we represent and process signals to enable understanding. Spent six and a half years at the University of Memphis as an assistant prof, but knew early it wasn’t going to work out. More below. Wasn’t going to get tenured, and my mom, who lived in Daytona Beach, Florida, was in failing health. I was able to finagle a job at Embry-Riddle teaching the EE classes of the computer engineering program, and my man and I moved here in 2000 and have been here since. I was successful at accreditation activities, and moved into faculty leadership through Faculty Senate service followed by Vice-Speaker and Speaker of our faculty. In 2010 I was selected to be chair of the new ECSSE department, and I’ve held that role ever since. Recently, I’ve also been acting as director of ERAU’s NEAR lab (NextGen Embry-Riddle Advanced Research), which does software engineering, systems engineering, and modeling and simulation for the FAA plus other external and internal customers. I finally came out when I was already in doctoral studies. An undergrad working in our lab made some disparaging remarks about then US Congressman Barney Frank being “one of them”. I flew off in a rage about “I was one of them”. Within a month I was out not only to my thesis committee, but also to my mom, brothers, and about anyone within hearing range of my shouts. I had reached the “anything has to be better than keeping this inside” point, but I wish it had come way earlier. When I was at Memphis, I tried to be “out, but not out”. That is, I made it clear that I was gay, but after getting some shocked responses from colleagues and staff, dialed back on my openness (more below regarding one particular exchange). I was thinking: wait until I’m tenured, but tenure didn’t come. I can identify what I didn’t do that I should’ve done to get tenured, particularly regarding leaving a publication trail, but I also was operating with skepticism that I’d be treated fairly because I gay even if I had dotted every ‘i’ and crossed every ‘t’. When I got the position at ERAU, my man and I discussed matters, and we agreed that I would take the position, but that we would be very open about being gay, being a couple. That we would participate in social events as a couple. Even though our presence was a changed world for some old guard faculty, we were well received and brought into the local university community, at least on the surface level. I was able to secure domestic partner benefits for myself and colleagues at ERAU. Being Speaker of our faculty brought challenges, because I knew I was elected to represent faculty positions at large, not necessarily to be an advocate for LGBTQQIAP2S issues. (Lesbian, gay, bisexual, trans, queer, questioning, intersex, asexual, pansexual, two-spirit: like I said, I think naming matters. It was probably just “gay and lesbian issues” at that time. I think that’s progress in some measure.) When what was on the ballot in 2008 as Florida’s constitutional Amendment 2 defining marriage as “one man with one woman” was being debated, I had to go to our university president and advocate to him “not as Speaker, but as a gay man” for the university to oppose it as it was against university and community interests. He said he was unwilling to do so because he wouldn’t have support from the Board of Trustees, but I think he probably voted for the amendment. We lost that fight the same night Obama was elected US president. The loss was a real kick in the teeth, to know that your neighbors don’t think you deserve to be in the same kind of legal relationship with the one you love as they are. For the moment, we have marriage equality, and my man (now of going on 24 years) and I were married in 2012. Most are either oblivious or don’t care. One male colleague here at ERAU came to my office one time and stated that a male student had represented to him that I had hit on said student. I had not hit on said student, but I never knew whether the guy was making up the story or whether the student actually existed and thought that I had hit on him. Said colleague’s tone changed when I told him I was in a long-term relationship, and then went off on a weird monologue about the attractiveness of soft young men. WTF? A case which actually affected my career was my first chair at Memphis. At the end of my first semester there, I went to the then chair and told him I intended to come out to my class at the end of the semester, as I had done while I was teaching while in graduate school. He advised against it, gave me the tired old line about “we don’t mix our personal and professional lives”, and ended the conversation with “if you tell anyone I said this, I’ll deny it.” I don’t want to cast global aspersions on the man’s life, but in that moment, he was less than a class act. A few weeks later at a department faculty meeting, he told a colleague who was recently the father of a baby boy (no idea if that turned out to be the lasting gender) that “you should get your son and my granddaughter together. You can’t start them too early”. Right. We don’t mix our personal and professional lives. I had a wonderful high-school chemistry teacher, but he was let go after that year. My physics instructor was a negative role model: that’s why I wanted to be the world’s best physics teacher, because I thought he was the world’s worst. We had a delightfully gay but closeted of the day literature, theater, and pre-calculus teacher: totally piss elegant, but also totally alcoholic. I didn’t keep up with him, though, visited him when I was a grad student, and had him visit my man and me to attend a class reunion. But largely I was on my own having to overcome having grown up in a rural, overwhelmingly conservative Christian (ostensibly, of course; not often in practice along the Christian lines) area. I didn’t take advantage of the resources at MIT—Student Homophile League early; Gays at MIT late)—until coming out. I’ve tried to be a role model as an out gay man in engineering and in education. I was faculty advisor to ERAU’s student LGBTQQIAP2S organization GALBA (at the time). I served nine years on the board of directors of NOGLSTP, the National Organization of Gay and Lesbian Scientist and Technical Professionals. I served on the EWeek (now DiscoverE) Diversity Council, and on the ASEE Diversity Committee. Currently, our students are standing up a chapter of oSTEM, and I’ll be the faculty advisor of that. I plan to continue teaching, doing research, and serving as department chair (if they’ll have me) for close to another decade, and then I’ll retire. I presume that my retirement increase opportunities to advocate for LGBTQQIAP2S individuals in engineering and other STEM areas. 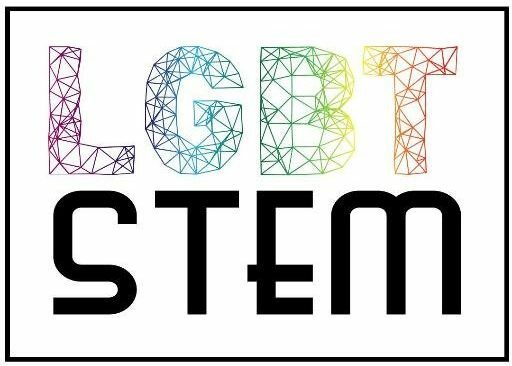 I’m skeptical of “science” as an encompassing term for all the STEM areas, just like I’m skeptical of “queer” as an encompassing term for all the LGBTQQIAP2S areas. I appreciate the value of a succinct term, but given that many of us value our identity as, say, gay instead of queer or engineer instead of scientist, I think it’s important to use the right name. I’ll note and admit that for others, those terms may matter less, they may have a more fluid relationship with any of those terms than I do, and that my doing so may be facilitated by privilege that others lack. Complications ensue, as they always will. It’s not a you’re wrong if you don’t see it this way perspective: just want to raise it as a perspective for others’ consideration.